Choosing a credit card used to be a fairly simple decision. Today there’s a wealth of options for credit cards that reward you for your purchases: everything from free travel to cash back. How do you decide? Balance transfer. Cardholders pay off one card by making a charge to another. Promotional balance transfers offer lower interest rates for a limited period of time, allowing cardholders to save money by paying off their balance on cards that have a higher interest rate. However, these transactions often cost you a fee of 3 percent or more. Grace period. After a statement period closes, cardholders can pay their statement balance in full without the risk of accruing interest. Foreign transaction fee. Credit card companies impose this fee on all charges processed outside of the United States, regardless of where you are or what currency you use. 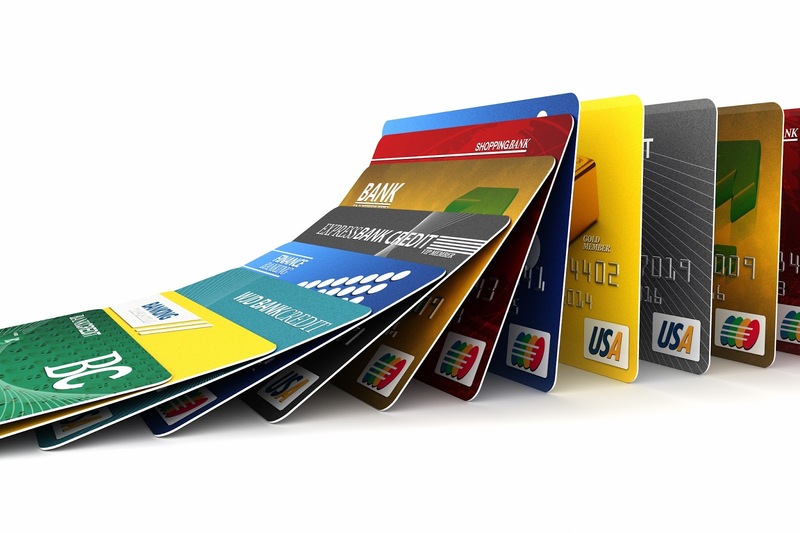 Some credit cards offer the benefit of no foreign transaction fees. APR. The annual percentage rate is the rate of interest that would be accumulated over the course of a year. However, card issuers can add interest charges to the total, called compounding, every month or even every day. This makes the actual amount of interest charged during a year greater than the result of simply multiplying the balance by the interest rate expressed as an APR. Variable rate. Before the Credit Card Act of 2009, card issuers could change customer’s rates for virtually any reason, while referring to the rates as “fixed.” Thankfully, card issuers must now disclose their rates as variable, and these rates are typically tied to the prime rate, which is what banks charge to their best customers, and is typically 3 percent higher than the federal funds rate. Rewards cards come in different forms. Unlike the traditional credit card, many have an annual fee and slightly higher interest rates. Be sure these expenses don’t cost more than the value you earn from membership. The second rewards category links to a specific brand, such as Amazon, a hotel chain or airline. Airline credit cards are popular, especially for people who travel a lot, because the rewards are often worth more than the points you earn on a cash-back card—in the form of free mileage (with other perks, such as priority boarding or free checked luggage). Typically, the cardholder accumulates points from both making purchases and flying on the airline. However, such loyalty cards can be more difficult to manage (and limit you to one airline or hotel chain), and availability is not always assured because of travel restrictions (like flying at peak times). If you are able to plan ahead, you’ll get the best deals. Many people, however, don’t want to deal with the hassle of figuring out how to make the most of their airline rewards card and let their free mileage go to waste. For international travelers, it's critical you get a card that waives foreign transaction fees—often up to 3 percent, which can negate the value of earned points. For those who can’t decide between cash back and loyalty cards, a general (or transferable) credit card gives you points for purchases, which you can use for gift cards, electronics, hotel stays, plane tickets, jewelry, pet supplies or cash. You can transfer points to numerous airline and hotel loyalty programs. As with loyalty cards, the options can be confusing and overwhelming, so you need to stay on top of your account. Two of the better known transferable points cards are Membership Rewards and Chase Sapphire Ultimate Reward. As with any decision, choosing a credit card starts with figuring out what you need the most. If you’re a big traveler or there’s one retail chain where you exclusively shop, the choice is obvious. You can get help in your decision-making by going to websites that offer credit card comparisons and questions to ask yourself before getting a new card. Bankrate asks you about your credit history and future needs, such as “How is your credit?,” “Is this card for personal or business needs?” and “Will you be using this card to make a big purchase?” Your answers lead to a recommended type of card. Another is NerdWallet, which asks you to select a type of credit card, such as rewards, cash-back, travel or balance transfer and, depending on your answer, lists the attributes of different brands of cards, including the annual fee, rewards rate and bonus value. Many rewards cards offer bonuses just for signing up, ranging from 10,000 to 75,000 (or more) points within the first few months of opening your account, as long as you make a certain amount of purchases. Compare deals to see which is the best, and always remember to balance enticing promotions with annual fees. Many people have more than one card, so you can strategize how best to use individual cards to get the rewards you want. Reward Yourself with the Right Credit Card is a featured article in the February 2016 Senior Spirit newsletter. A Poodle or an Angel of Mercy?